On this week’s show, we started off show by talking about a restaurant in Brooklyn, New York called ICHIRAN. The ramen-restaurant is gaining popularity because of the unique service it offers, described in detail this article on Grubstreet.com. The restaurant is designed in such a way that the patrons don’t have to have any significant form of social interactions. They sit in private booths, write down their orders on paper, and get served through small windows in their booths. We explored the anti-social implications of a restaurant that essentially eliminates any need for interactions with other humans. This conversation also lead to a discussion tipping and the service industry as a whole. In the restaurant industry, servers are traditionally paid less than minimum wage, and tipping is often expected (but not mandatory) and is usually determined by the quality of service provided by the server. 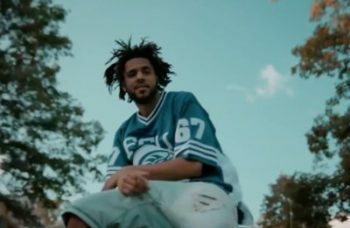 During our pop culture segment, we discussed J. Cole’s upcoming album entitled, “4 Your Eyez Only”, after releasing a documentary via TIDAL featuring two new songs. On one of the new track releases, “False Prophets”, he levies subtle criticisms towards the current state of rap, commenting on the behaviour of other artists like Kanye West and Lil’ Yachty. We also talked about the constant comparisons of current artists to past legends. For example, The Weeknd is often regarded as the modern Michael Jackson, but the issue that arises seems to be that it does an injustice to both artists. While it may be fair to say that there are notable similarities between the two artists, they both have individual characteristics and careers that shouldn’t be lumped together. Calling The Weeknd the new Michael Jackson puts The Weeknd in a position to fill larger than life shoes, and also in a sense, takes away from the legacy left behind by the late Michael Jackson (rest in peace). For the people/opinion segment, we explored people’s personal preferences in relation to physical attributes when dating. Sometimes, people have specific physical attributes that are mandatory for them to feel attracted to someone else. We talked about whether or not it’s shallow to have these preferences, what some of these preferences are, and when these preferences go too far.